What Time Does the ACT Start? The ACT requires all students to report no later than 8:00 AM on test day. After all students are checked in and fill out their information on their test booklets and answer sheets, the actual test generally begins around 8:30 AM, although this can vary based on differences between testing locations and proctors. What happens if I am late to the ACT? 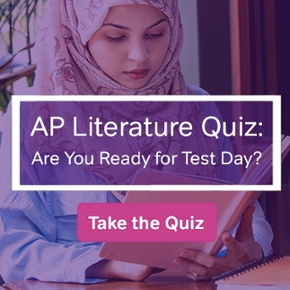 There’s no set time to actually crack open the test, and some testing centers will be lenient with letting late arrivals into the test room if the test hasn’t officially begun, but I wouldn’t press your luck. This can be totally dependent on the whims of the administrator or proctor. You should plan to arrive to the test center between 7:30 and 7:45 to allow for any last minute delays. What time are breaks on the ACT? This is going to vary a little bit depending on how long your room takes to get settled. That’s why you’ll likely see students from other rooms happily skipping off to their bathroom breaks maybe even 10 to 15 minutes before time for your section is called. But, generally speaking, you can expect your first break to be around 10:30 AM and your second break (if you are staying on for the optional Writing test) to be around 11:50 or 12 PM. What time does the ACT end? If you are lucky enough to be at a testing center than runs like a well-oiled machine, you may wrap up as early as 11:30 AM for the ACT without writing. More likely is about 12:00-12:15 PM. If you are taking the ACT with writing, expect to be released between 12:45 and 1:15 PM. What time is everything else happening on ACT morning? Check out our ACT timetable! For those of you hugging your well-loved day-planners to your chest, you will love this minute-by-minute account of everything from when you should be eating your breakfast and doing a little light exercise in the morning to when you will be deep in the middle of the Science test. What time does the ACT start for Non-Saturday Testing? If you are taking the ACT on Sunday (or another day of the week) because of religious convictions, your testing schedule will be the same as it is for regular Saturday testing. What should I do the morning of the ACT? We are glad you asked :). Check out our ACT test day tips here. And for some last-minute study tips to help test day go smoothly, check out our post for the week before the ACT. 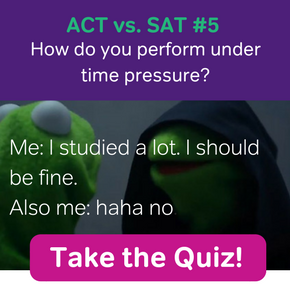 Finally, if you need more practice before the test, check out our ACT prep! What is the ACT Residual Test? Love Your Scores (at 20% off) — A Valentine’s Day Surprise Video from Magoosh! 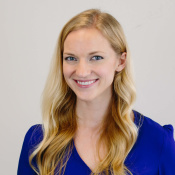 Dr. Kristin Fracchia makes sure Magoosh's sites are full of awesome, free resources that can be found by students prepping for standardized tests. With a PhD from UC Irvine and degrees in Education and English, she’s been working in education since 2004 and has helped students prepare for standardized tests, as well as college and graduate school admissions, since 2007. She enjoys the agony and bliss of trail running, backpacking, hot yoga, and esoteric knowledge. The total cost to rent a tour bus for a day is the same for any party over fifteen. If the cost is $720 for a group of sixteen, how much less would a group of twenty-four riders have to pay per person than a group of sixteen?